The Vegetarian Experience: Dr Oetker launches new Vegetarian Pizza - "The Vegetale"
Dr Oetker launches new Vegetarian Pizza - "The Vegetale"
In December, we were sent some vouchers to sample the Dr Oetker Pizza Ristorante Range. Dr Oetker recently launched their new pizza, "The Vegetale" which contains tomatoes, mixed peppers, chilli and red onion, topped on the much-loved thin, crispy base. We thought that the Christmas period would be the perfect time to sample the Dr Oetker range as amongst all of the other festive cooking, this mean meant zero cooking for me. All I had to do was pop the pizza in the oven and serve it - perfect!! We sampled two different Dr Oetker pizza's - The Mozzarella and The Vegetale. We loved the crispy thin bases of both pizza's as they do make you feel like you are eating an authentic restaurant-style Italian pizza rather than a supermarket pizza. Although we really enjoyed both pizza's, we preferred the Mozzarella over the Vegetale as the tomatoes were a bit wet and soggy on the Vegetale (as I find on most pizza's with tomato on) and myself and the kid's are not big chilli fans. As a range, we think that Dr Oetker pizza's offer a great Vegetarian range as like I said, the Pizza's are much nicer than what other brands offer and the pizza's were not too heavy on the cheese - which is sometimes the case with other vegetarian pizza's. 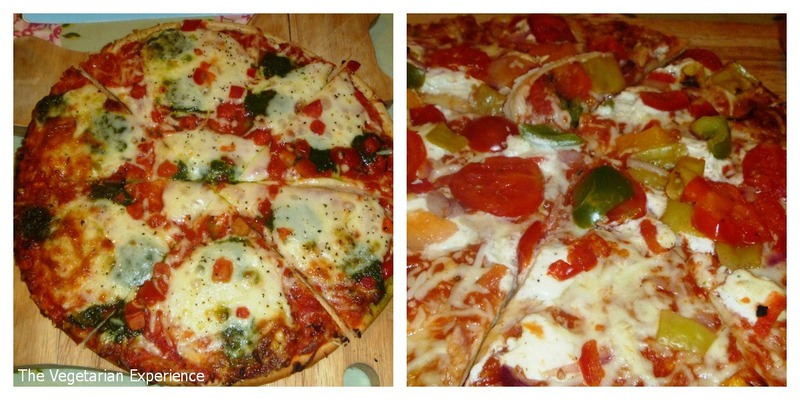 You can find Dr Oetker Pizza's in Asda, Tesco and Sainsbury's.